How Will Rain and Bad Weather Affect Your US Open Tennis Tickets? It's your worst nightmare. 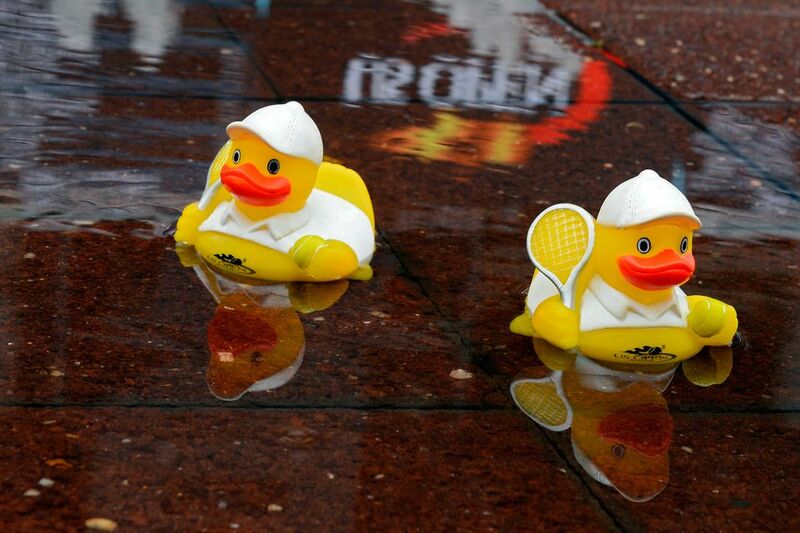 You trekked out to Flushing Meadows to see your favorite tennis players, but the rain won't go away. Rain delays are not uncommon at the US Open in Flushing Meadows, but to get completely rained out of a session, well, that's tough luck. The US Open staff makes every effort to deal with rain, letting the show go on, but in case of an all-day rain, you might end up watching the Open next year. If the weather looks bad on your US Open day, plan to go to Flushing Meadows regardless. It's likely that the grounds crew will have tennis swinging. If it's a real downpour, check the TV news and USOpen.org for announcements. But, seriously, don't risk missing your day at the Open on account of a little moisture. If your session does get rained out, you should be able to exchange either for another session this year (and there are limits to this option) or get the same day/seats at next year's Open. There are no refunds. If your tickets are for an early session that gets rained out, then you have a chance of getting tickets for later in the week. But you would have to be in Flushing Meadows right away to try and exchange at the box office and beat the other folks in the same boat. That probably means standing in the rain. What If the Match Had Started Before It Was Cancelled? If a match in your session has been completed, you may be out of luck. It depends upon the time of day (or night). See the official inclement weather policy for the nitty-gritty details. What If The Finals Get Rained Out? "The Inclement Weather Policy does not apply to sessions #23 through #26." Ouch. That means officially you're out of luck. However, the US Open management would most likely honor tickets for a rescheduled final. They're just keeping their options open. If the match has been delayed, or canceled, and you're wondering what to do, you're in luck! The US Open is one subway stop from the largest Chinatown in New York City. Top choice has to be eating Sichuan food at Spicy & Tasty (39-07 Prince St, Flushing), a single subway stop to a singularly great taste. If the damp has dampened your spirits, there's nothing like Sichuan peppercorn to enliven them. Try the dumplings swimming in sauce. For a shopping excursion, try the Flushing Mall. Enter on 37th Avenue (at Prince), and look for the Toy Qube shop on the second floor. It's full of designer toys that will wash those rain clouds right out of your hair.